Some people think that Ethereum is similar to Bitcoin and from some points of view it is. However, the Ethereum system has more function that covers not just the financial aspects. Ethereum is an open software platform that is based on the blockchain technology. It serves as a tool for developers to build decentralized applications. In the Ethereum blockchain, miners work to earn Ether, which is the crypto token that fuels the system. The system had many different features but one of the most important ones is represented by smart contracts. Their functionality expands beyond the financial system and they can be used for the exchange of goods, services, and anything of value. Vitalik Buterin is the one that proposed Ethereum back in late 2013. The actual development of the system had been made during 2014 as a result of a crowdsale. It went live on 30 July 2015, with 11.9 million coins premined. That amount accounts for 13% of the total supply. As a result of the collapse of the DAO project in 2016, the Ethereum blockchain split in two, resulting two different versions of coins: the new version became Ethereum (ETH) and the original continued as Ethereum Classic (ETC). The initiator of the Ethereum system, Vitalik Buterin considered that Bitcoin needed a scripting language for application development and since no agreement had been made with that respect, a new platform was developed and that is Ethereum. It has been one of the best performing cryptocurrencies in 2017, growing around 13,000. The Ethereum system is different from the other cryptocurrencies because it covers a wider area of activities. The term Ethereum does not refer just to digital money. In fact, it is a much larger network that tries to simply all commercial activities. One of the main features of the Ethereum system is the smart contract. Bitcoin has a restrictive language and Ethereum tries to fill that gap. The scripting language allows developers to write their own code. The system allows developers to program their own “autonomous agents”, which is how smart contracts are referred to in the white paper. Smart contracts are able to manage agreements between users, store information about various applications, provide utility to other contracts and many other functions. Can you mine for Ethereum? How is Ethereum mined? Ethereum is one of the digital currencies that can be mined. Tokens are created at a rate of 5 ethers for each block that is mined. The Ethereum mining process is very similar to the one we’ve described for Bitcoin. To explain a little bit in greater detail, miners run the blocks unique header metadata through a hash function, only changing the nonce value, which will impact the resulting hash value. If one miner manages to find a hash that matches the current target, he will receive an award in ether and the block that had been created is broadcasted across the network in order to be added to each node to the copy of the ledger. Each 12-15 minutes a miner finds a new block. They can randomly earn these tokens and profitability depends on luck and how much computational power they put in. Same like bitcoin, Ethereum has a specific proof-of-work algorithm that is called ethash. If you would like to invest in Ethereum and buy coins, the safest way to do it is through an exchange broker. Two examples with that respect are Cex.io and hitbtc.com. Both exchange platforms have support for Ethereum and before you decide to pick one of them or both, we have reviewed then so you can find some of their main features. Make sure to check the material in our dedicated exchange brokers page. You’ll find other exchange platforms as well, but if you want to buy ethereum, make sure to choose one that already has support for Ethereum. 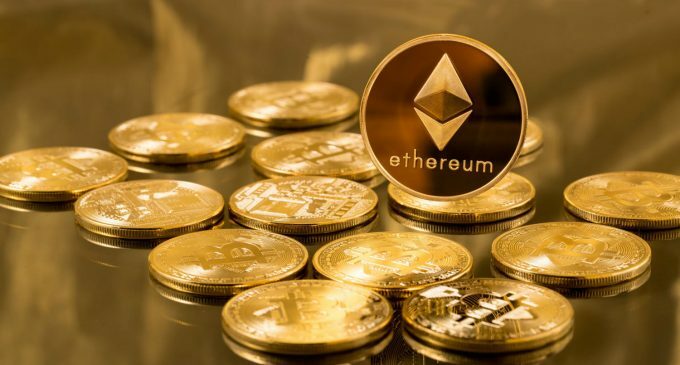 Luckily, Ethereum is one of the most used cryptocurrency at the present time and due to the big daily volume, exchange brokers had implemented support for it. How can I sell my Ethereum? Exchanges represent the best place to sell Ethereum as well. Whether you want to sell it for cash or sell it in order to buy another digital coin, through an exchange broker you are sure that nothing bad can happen. Besides the two exchanges we’ve mentioned above, Changelly is another one that has support for Ethereum and we’ve already reviewed it on our website. Also, keep in mind that if you want to sell Ethereum for cash, the currency that is supported by most of the exchange platform is the US dollar. There are some that can exchange in euro, but the US dollar is the most used. You can’t exchange digital money directly in the currency that is used in your country of residence. If you want to go for offline or cold storage, one of the best and affordable hardware wallet is the Ledger Nano S. We’ve reviewed the device on our website as well, and it has some great features, it supports a huge number of digital coins, including Ethereum and you can definitely use it with confidence. A second hardware wallet packed with features and also reviewed in our crypto wallets sections is Trezor. Its price is a little higher, but it comes with a display. If we talk about e-wallets, two of the best examples that have support for Ethereum, are Jaxx and Coinbase. We’ve reviewed them both in our crypto wallets section and they already have a good reputation in the industry. Ethereum is one of the currencies that can be traded with an online broker. You can avoid the process of opening a wallet and using an exchange to buy coins. You can simply trade cryptocurrencies and profit from price swings with a broker that has included cryptocurrencies in its trading instruments list. Two of the brokers that have included Ethereum in their trading list are IQ Options and eToro, which have both been reviewed in our crypto trading brokers section.